The gear: Jersey: Alpinestars Techstar Factory Pants: Alpinestars Techstar Factory, Helmet: Scorpion VX35, Goggles: Spy Klutch MX, Boots: Alpinestars Tech 10. Q: FIRST AND FOREMOST, IS THE 2018 TM MX125 BETTER THAN THE 2017 MODEL? A: We haven’t tested a TM MX125 in over a decade. Although, we did test the 2013 and 2016 TM MX144s. You might think that the TM MX144 is the same as the TM MX125 save for a bigger piston and cylinder bore, because that would have been the path of least resistance in developing a 144. After all, both KTM and Husky adopted this plug-and-play style for their 150s over a decade ago. It is the cheapest and easiest way to add another model to the lineup. But, almost every MXA test rider chooses the KTM 125SX to race over the 150SX. 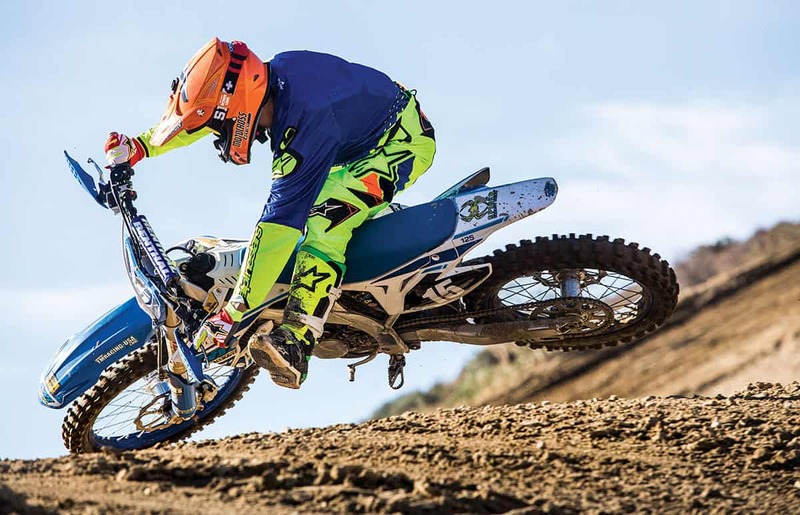 Yes, the 150SX is faster and produces over two more ponies than the 125SX, but the oversized piston and short stroke deliver a punchy style of power that is hard to manage. That is why TM took the long road and built two different engines with similar powerbands. We applaud the bean counters at TM. We imagine they ride. TM importer Ralf Schmidt brought out a 2017 TM MX125 for us to compare to the 2018 MX125. This convinced us that the 2018 TM MX125 is head and shoulders above the 2017 model. The 2018 TM MX125 may look like the 2017 model to the naked eye, but it is vastly different internally. The engine and suspension components have been upgraded for 2018. Q: WHAT CHANGES WERE MADE TO THE 2018 TM MX125? A: TM does not have a four-year production cycle like the Japanese manufacturers. The company makes changes when it feels they are needed. Some years there are small revisions, while other years the bikes get a big makeover. For 2018, big changes were made to the TM MX125. (1) Crank. The weight of the crank has been changed to create a better balance. (2) Cylinder. The cylinder has an updated design. The port timing has been changed, and the cylinder head is all new. (3) Pipe. The HGS pipe was developed to complement the new engine. (4) Forks. The Kayaba forks have different settings and components, and the upper tubes are now silver instead of black. (5) Frame. The frame got beefed up in some areas and made lighter in others. The engine has also been moved in the chassis slightly. Overall, the frame is lighter for 2018. (6) CDI. The new CDI programming and carburetor setting maximize the TM’s electronically controlled exhaust valve. Q: HOW MUCH DOES THE TM MX125 COST? A: It is the most expensive 125cc machine you will ever come across. At $8295, the TM MX125 is $1196 more than the Husqvarna TC125, $1296 more than the KTM 125SX and $1796 more than a YZ125. It is expensive, but TM only produces about 2000 motorcycles out of its small Italian plant in Pesaro, Italy. That is peanuts compared to the more than 100,000 units the Austrian KTM factory pumps out each year. A TM buyer is very much like a Ducati buyer. He will pay the extra money for something that only a few have. And, we are talking less than 200 TM motorcycles per year coming to America. TMs are handmade bikes that have ultra-trick parts on them. Why doesn’t TM sell more bikes? It’s because TM doesn’t want to get big. TM only wants to produce a certain number of bikes every year and doesn’t want to go over that number. The goal is to keep the operation small and manageable. TM wants to be a boutique brand that remains different from the masses. Make no mistake about it, the TM MX125 is fast. How fast? It lacks a bit off the bottom, but it has the same peak horsepower as the 2018 KTM 125SX. Q: HOW FAST IS THE 2018 TM MX125? A: Faster than we thought it was going to be. 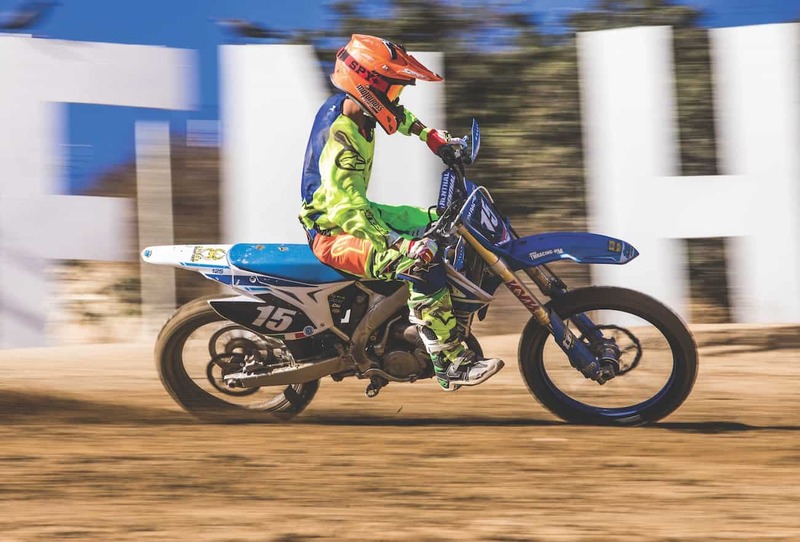 We know that TM’s specialty is two-strokes, but we didn’t think it would be able to run with the powerhouse brands like Yamaha, Husqvarna and KTM. We brought our 2018 KTM 125SX and Yamaha YZ125 out with us when testing the TM MX125. What did we notice? First, we felt the lack of bottom-end power right off the bat compared to the 125SX, but then in the middle of the powerband the TM came on strong and kept pulling. Fast riders were torn between the two engines. Second, the YZ125 was left in the dust by both the KTM and TM. We did multiple head-to-head drag races between them. We did roll-on starts in second, third and fourth gear. We constantly switched the riders and still got the same results. Each and every time, the KTM 125SX got a small jump while the TM MX125 made up ground in the upper rpm ranges. Once the bikes were wound out, we couldn’t tell who was the victor. The TM MX125 is more exciting to ride than the 125SX. It has a midrange sweet spot that ignites the afterburners. The KTM 125SX has a more linear and easier-to-ride style of power. We helped the bottom end of the TM by going up one tooth in the rear. This allowed our testers to pull harder out of corners and get to third sooner, and it made the engine easier to ride in its sweet spot. If you like the adrenaline rush of holding the throttle to the stops and hearing a smoker sing, you will love riding this bike. 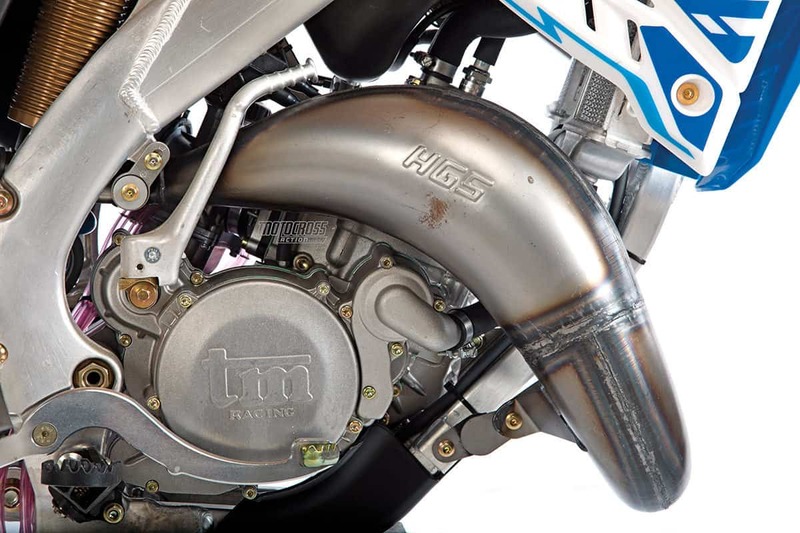 On the dyno, the TM MX125 offers more peak horsepower than the 125SX, although the 125SX has more torque, more bottom end and about the same midrange power. Q: WHY IS THE TM MX125 TAILORED TO FASTER RIDERS? A: Simply because TM’s test riders are fast. The Italian Federation helps develop young riders to grow stronger riders for its country. 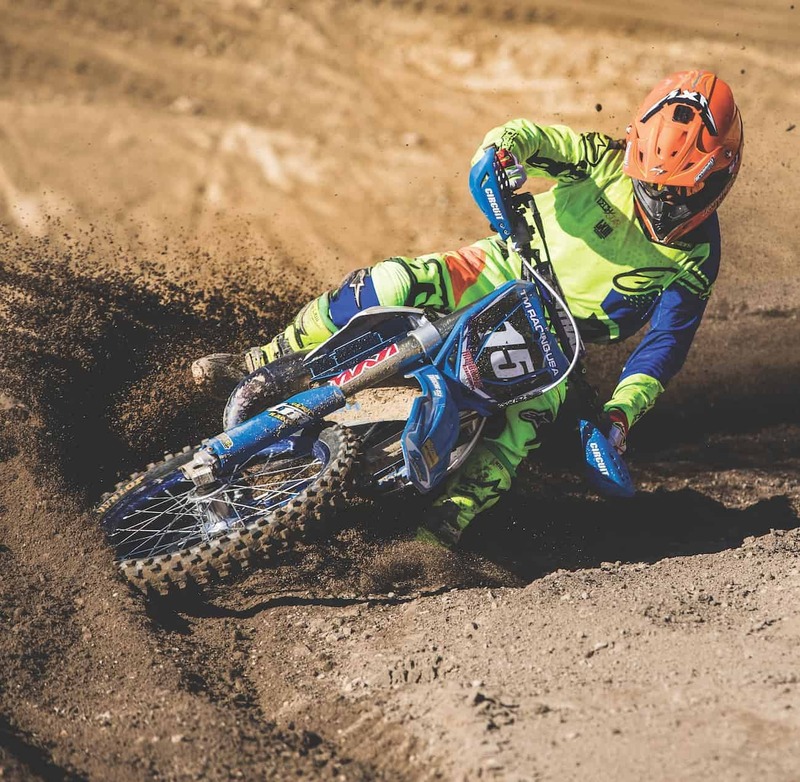 The Federation works hand in hand with TM, and TM uses these fast, young riders to develop the TM MX125 in the toughest racing conditions around. They test by racing, and when they aren’t racing, they spend a lot of time at the toughest MXGP circuit, Lommel, to put their bikes through the wringer; however, testing in the deep sand doesn’t always jive with the conditions that American riders are used to. Q: HOW DO THE KAYABA FORKS WORK? A: In the past, we said that the same internal components were used in both the YZ125 Kayaba SSS forks and TM MX125 forks, with only the valving being different. This was always hard to believe, as the TM MX125 forks were atrocious. They were extremely stiff, but would blow through their stroke if you hit hard enough. 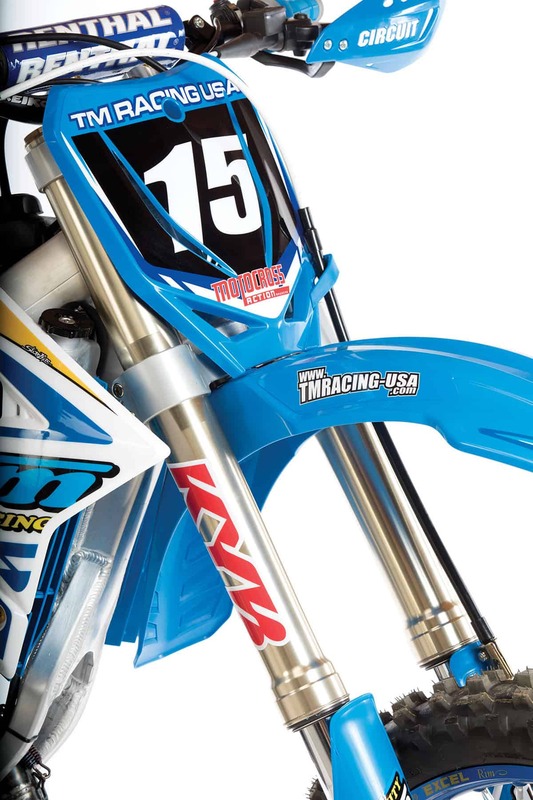 In MXA’s opinion, they were the exact opposite of the SSS Kayaba forks that we know and love. Why doesn’t TM just copy the YZ125 settings? Because Yamaha made an agreement with Kayaba that KYB could not share Yamaha’s valving spec with anyone. We get it. A lot of time and effort went into developing the best fork to ever come down the production line. We just don’t understand how the TM’s Kayaba fork could be so bad. If you remember, we used to say the same thing about KTM’s WP suspension. They would develop the settings in Europe, but when it came to American tracks, the forks were horrible. So what gives? European tracks and riding styles are vastly different. KTM eventually caught on to what was happening and started paying attention to its American R&D department, developing American specs for its suspension. So, why doesn’t TM have European and American settings? With TM only selling a handful of MX125s on U.S. soil, it wouldn’t be cost-effective for them to develop two settings. Although, for 2018, they met the American riders halfway. Joyous day! The 2018 TM MX125 forks are a breath of fresh air. They are still too stiff, but they move, and when they move, they don’t bottom. To make for a more forgiving ride, we took 10cc of oil out of each fork leg. This softened up the stroke and made the ride through braking bumps more supple. 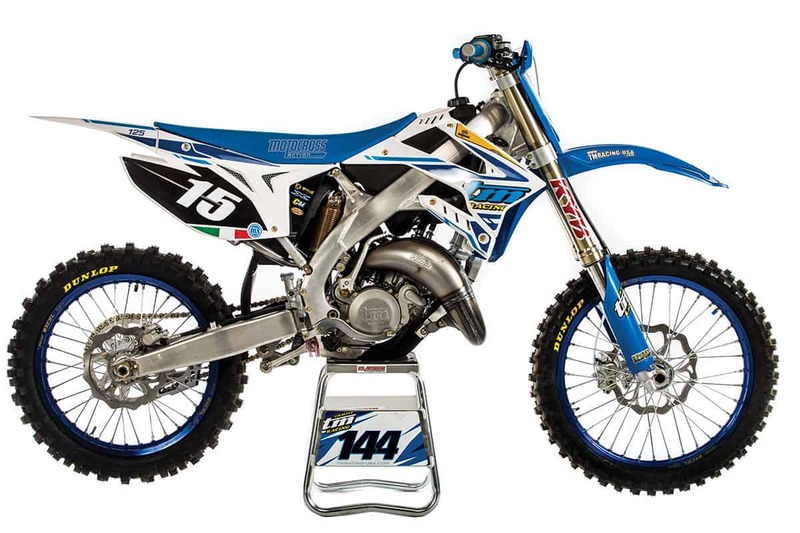 These forks still aren’t up to YZ125 standards, but we can at least tell they are related. We never got along with the stiff Kayaba TM forks before, but for 2018 they actually have traits of the KYB SSS forks. (2) Gearing. The stock 12/50 gearing is too tall. We went with a 12/51 combination. (4) Race gas. 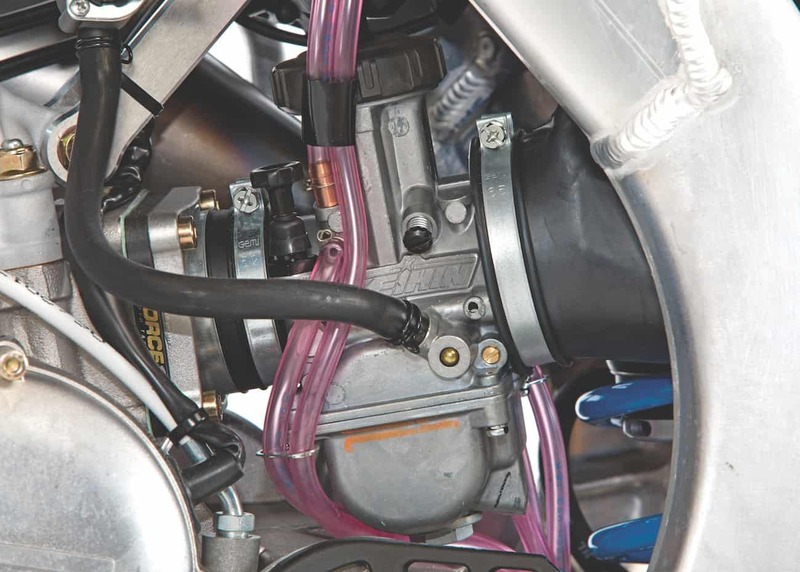 For the TM MX125 to sing, not ping, it needs a dose of C12 mixed with 91-octane pump gas. TM makes their shocks in-house at the factory in Italy. The CNC-machined and -anodized shock body is trick. (2) Powerband. The TM MX125 is fast. 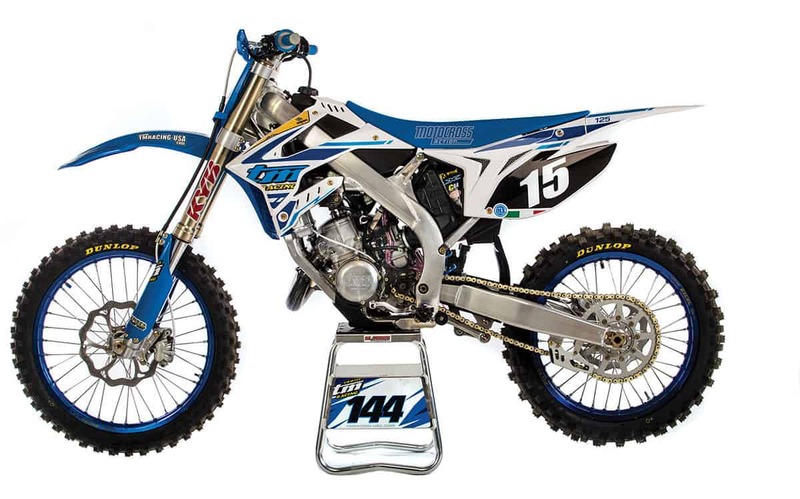 It competes with the KTM 125SX and blows the YZ125 out of the water. (3) Hydraulic clutch. You can’t go wrong with a self-adjusting hydraulic clutch. (4) Brakes. 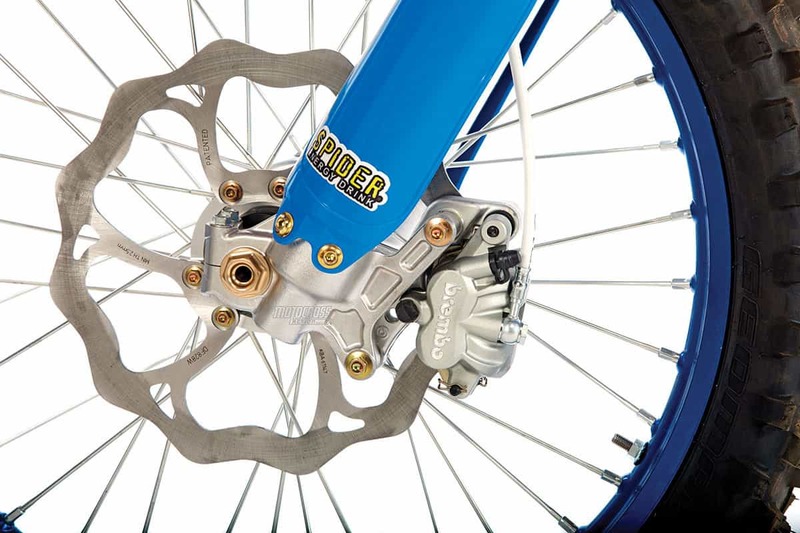 The 270mm Galfer front rotor and Brembo hydraulics offer superior braking. (5) Forks. The Kayaba forks were still on the stiff side, but taking out some oil really made these forks manageable. 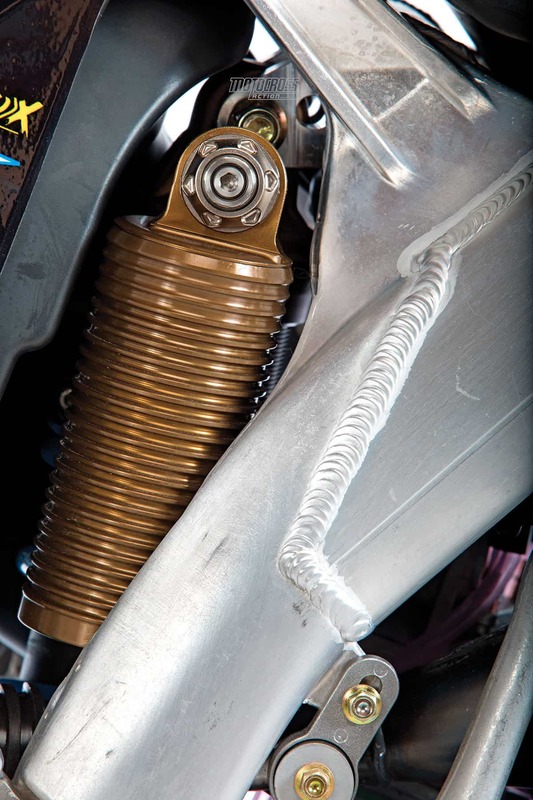 Plus, any suspension tuner in any town in America has experience with these forks. The TM MX125 has a Brembo hydraulic clutch as well as Brembo stopping power. We love it. This is how we set up our 2018 TM MX125 for racing. We offer it as a guide to help you find your own sweet spot. Notes: In most cases, Kayaba SSS forks are the best forks made, but they are not good with the wrong valving. TM made some major strides in getting workable settings in the 2018 TM MX125 version. They are a little stiff for the average 125/150 buyer, but, after we took 10cc of oil out of each fork leg, they were in the ballpark. Notes: TMs have always had a stinkbug feel in the rear. MXA test riders always lower the sag to around 115mm. This is not a good fix, because it costs a lot of valuable shock stroke. For 2018, TM made changes in the right direction to lower the rear of the bike. This allows the TM MX125 to have a balanced feel without so much tweaking.